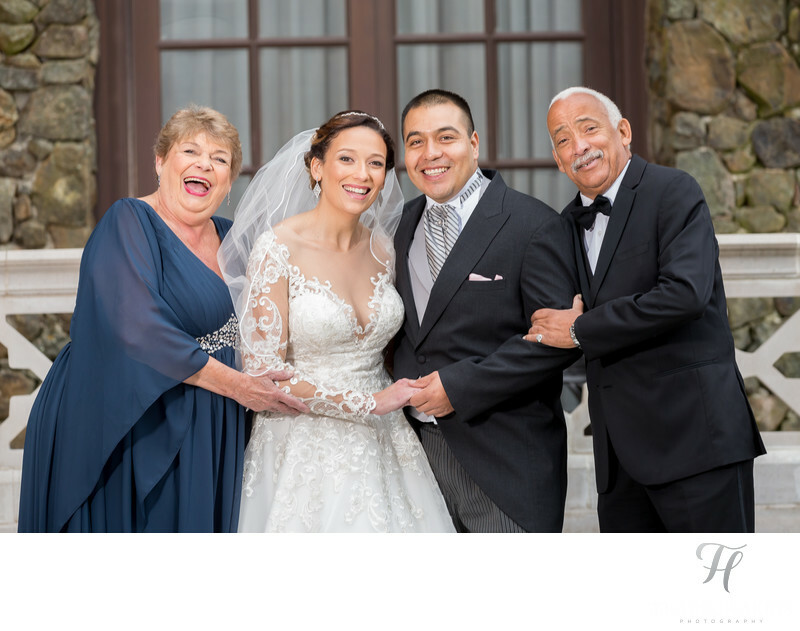 A nice shot of the bride and groom with her parents. I’m showcasing this because it is reflecting my own personal interaction with them, and this is very unique with me. My style is to “set them up” (pose), take a few shots.. and then let my personality do the rest for some “real” moments within the posed framework. This then offers the very best results. It's actually brilliant when you think about it. You see, everyone needs some type of direction. This is a fact. 100% of the time at weddings, my clients will look to me and think "what do we do now". So, to avoid that and to "keep the ball rolling" I don't give them that chance. Instead, I take control and "make it happen".